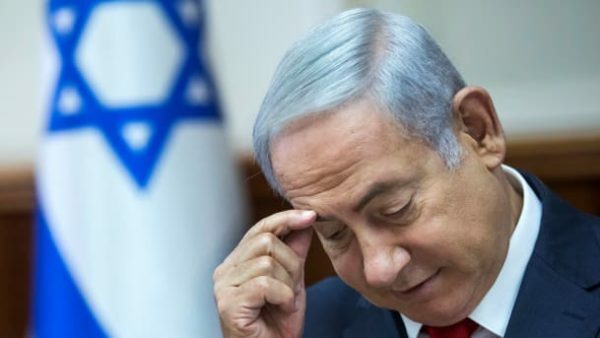 The findings were part of the first polls published since the announcement, which also indicated that Netanyahu could be unable to form a governing coalition after the April 9 elections. Mandelblit announced Thursday that Netanyahu will be charged with criminal wrongdoing in three separate cases against him, including bribery in the far-reaching Bezeq corruption probe, pending a hearing. A poll published by the Kan public broadcaster Friday night found that 36% of Israelis believe that Netanyahu should resign now. A further 32% think he should step down if he is actually indicted after the completion of the hearing process. Twenty-three percent of respondents said that Netanyahu could continue being prime minister even after an indictment, which the law technically allows, and 8% said they did not know. The Kan poll, and another from Channel 13, also indicated that Netanyahu could be unable to form a governing coalition. The survey by Kan showed that if elections were held today, results would see Likud maintaining its strength from recent polls and winning 29 seats in the 120-member. The Blue and White alliance of Benny Gantz and Yair Lapid would get 37 seats.